Prime lenses are most used lenses for a camera. Currently, the full frame prime portrait lenses for Sony Alpha a7III & a7R III are more and more, not only Sony is developing new prime lenses every year, third part lens companies are also making plenty of new prime lenses. For standard & medium telephoto prime portrait lenses, the FE 50mm f/1.8 (Amazon/B&H/Adorama) & FE 85mm f/1.8 (Amazon/B&H/Adorama) lenses are cheap and good lenses for Sony a7III & a7R III, and if you are looking for a prime lens with better image quality, the FE 85mm f/1.4 GM lens (Amazon/B&H/Adorama) is one of the best choice. Sony has already released several FE zoom lenses for Alpha mirrorless full frame cameras. From wide-angle zoom lenses to telephoto zoom lenses. Sony also released some high-end GM zoom lenses: FE 16-35mm GM (Amazon/B&H/Adorama), FE 24-70mm GM (Amazon/B&H/Adorama), FE 70-200mm GM (Amazon/B&H/Adorama), and FE 100-400mm GM (Amazon/B&H/Adorama) lenses. The Tamron’s new FE zoom lenses are currently best selling FE zoom lenses with a very cheap price and great image quality. 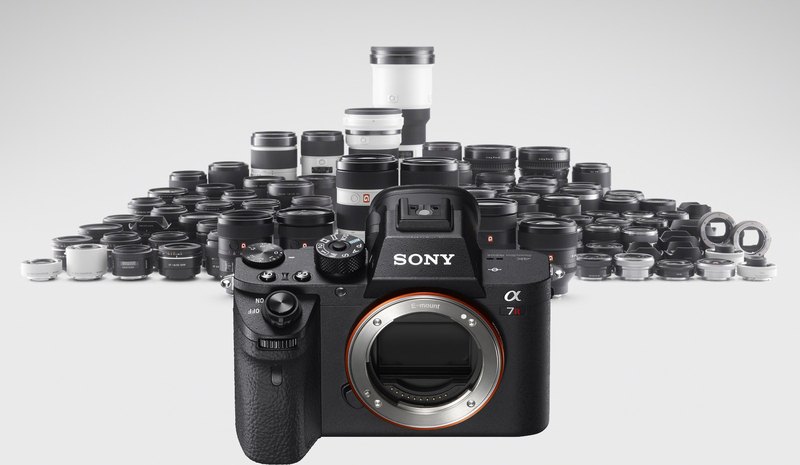 There are over 30+ wide angle prime and zoom lenses already available for Sony a7III & a7R III mirrorless camera. For wide angle prime lenses, if you are looking for a budget lens, the Sony FE 28mm f/2 (Amazon/B&H/Adorama), FE 35mm f/2.8 and Rokinon wide-angle lenses are good choices. If you are looking for a lens with better image quality, the Batis wide-angle prime lenses, FE 24mm f/1.4 GM lens (Amazon/B&H/Adorama) and Zeiss FE 35mm f/1.4 lens (Amazon/B&H/Adorama) are good choices. For wide angle zoom lenses, the new announced FE 12-24mm f/4G (Amazon/B&H/Adorama) and FE 16-35mm f/2.8 GM (Amazon/B&H/Adorama) lenses are best wide-angle zoom lenses for Sony a7III & a7R III. Currently, there are no so much telephoto lenses for Sony alpha a7III & a7R III, but Sony is confirmed to release more telephoto lenses next. For telephoto prime lenses, there are some great lenses at 85mm, 105mm, and 135mm. For telephoto zoom lenses, FE 70-200mm f/2.8 GM and FE 100-400mm f/4.5-5.6 GM lenses are best telephoto zoom lenses for Sony a7III & a7R III. Below are top rated Macro lenses for Sony Alpha a7III & a7RIII. The Sony FE 90mm f/2.8 Macro G OSS lens (Amazon/B&H/Adorama) is the best choice. This article needs to be updated! why whats new that you recommend or is different?